A well-established brand that offers 2 sign-up bonus options. One worth a whopping £5,000! Established in September of 2004, licensed by the Gibraltar Licensing Authority and regulated by the Gibraltar Gambling Commissioner, Mansion Casino has over 12 years experience in providing a high-standard casino experience to UK, European, Australian and Canadian players. There are over 300 casino games to choose from at Mansion Casino, all of which are developed by either Playtech or Betsoft, two of the market leaders in gaming software. Mansion Casino is a prestigious online casino that has held a strong, positive reputation for many years. They have a huge player base built up with players from all around the world. There are two bonuses to choose from when signing up at Mansion Casino. One is a standard bonus and the other is for high-roller players. The standard bonus is a 100% match bonus on your first deposit up to a maximum of $/£/€500. The high roller bonus is a 50% bonus on your first deposit up to a whopping $/£/€5,000. To qualify for the high roller bonus simply deposit more than $/£/€1,000 and the bonus will automatically be added to your account. If your first deposit is $/£/€1,000 or below you will receive the standard welcome bonus. The wagering requirements for the Mansion Casino bonus are more attractive than most which is why we rated their bonus so highly. Players are required to wager the standard bonus 20 times before withdrawing and the high roller bonus is only required to be wagered 15 times before withdrawing, making clearing your bonus a very achievable task. Cash Magnet : Receive 10% cash back. The maximum amount you can claim back is determained by what level of VIP you are. Read below for more info on the Mansion Casino VIP Program. Red or Black : A weekly reload bonus available to everyone. Make a deposit with one of the two Mansion Casino Bonus Codes to receive your bonus. Use code RED to get 100% extra up to $/£/€400 with 40x wagering or Use code BLACK to get 50% extra up to $/£/€400 with 20x wagering. Make Your Match : Mansion Casino will match your first deposit each month, every month! Simply enter the Bonus Code FIRST1 when making your first deposit of the month. VIP players will receive up to £/€/$1,000 while standard players will receive up to £/€/$500. Refer-a-friend : Know someone who might enjoy Mansion Casino as much as you do? Why not recommend them and if they sign up you will receive a $/€/£50 bonus. You can refer up to 20 friends by entering their email addresses in the refer-a-friend section meaning you could receive up to $/€/£1,000 in bonuses! For every wager you make at any game you will receive loyalty points. The amount of loyalty points you receive will depend on how much you stake and what games you play. Different games accrue different amounts of loyalty points. The games which contribute to more loyalty points with the least wagering are slots, scratchcards, arcade games, poker and roulette, all the way down to Blackjack. Loyalty points are added to your account immediately after you exit a game and then the points can be converted into real, withdrawable cash with the click of a button. The amount of cash you receive for each loyalty point depends on what level of the VIP program you are at. There are four levels in the VIP Program ; Bronze, Silver, Gold and VIP. You move up levels by collecting your loyalty points. The longer you hold onto your loyalty points the more cash you can exchange them for. For example 100 points at Bronze level will can only be exchanged for $/€/£1. However, at VIP level you can exchange 60,000 points for $/€/£5,000 which equates to $/€/£8.33 for each 100 points. Points add up fast and it can be suprising how much you can exchange them for if you play regularly. 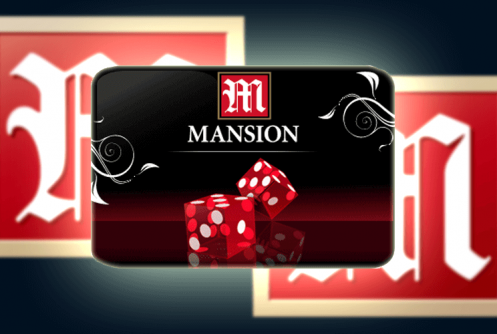 Mansion Casino offers players over 300 games from software developers Playtech and Betsoft. You’ll find the usual table tables such as Blackjack, Casino War and Roulette, of which there are 3 variations of. 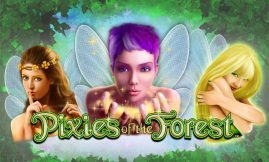 There is also range of online slots, although sadly their library isn’t as complete as some other online casinos out there such as Mr Green or LeoVegas. However we are huge fans of the Marvel slots which you will find at Mansion such as The Hulk, Iron Man 2, X-Men and The Fantastic 4. Some of which have huge progressive jackpots. 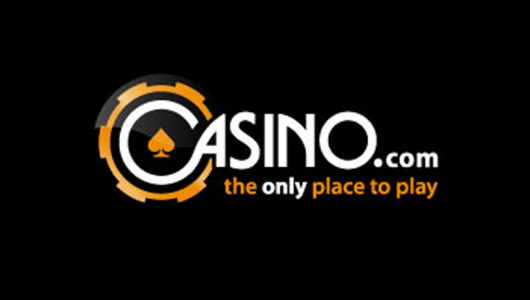 A great addition to Mansion Casinos site are their Live Casino games. Players can now play Blackjack, Roulette and Baccarat with streams of live dealers. There are a number of tables to choose from for each live dealer game depending on your stake size. Streams seem fast and smooth and the sound quality of the dealers voices is excellent. Mansion Casino offers customer support via email, phone and live chat 24/7. All the details are available via their ‘Contact Us’ page accessible from their homepage. If you wish to email them you can do so at support@mansioncasino.com. However, we would opt to use the live chat feature as when we tested it on numerous occasions the maximum amount of time we waited to be connected to a member of the support team was only 47 seconds. All major debit and credit cards are accepted for deposits at Mansion Casino, as well as direct bank transfers, and electronic services such as PayPal, Neteller, Skrill and Paysafecard to name a few. A nice addition is the ability to be able to deposit using Boku which takes payment directly from your mobile bill. This can be extremely beneficial for mobile or tablet players who play on the move. Withdrawal options are pretty much the same as the deposit methods with the exception of Boku as understandably you can’t add credit onto your phone bill. Withdrawal times take 3-5 business days to appear back in your bank and e-wallet withdrawals are processed within 24 hours after which they are instantly transferred. The following currencies are accepted at Mansion Casino : Great British Pounds (GBP), Euros (EUR), Australian Dollars (AUD), Canadian Dollars (CAD), U.S. Dollars (USD) and Swedish Krona (SEK). The Mansion Casino website and support team supports various languages including English, French, German, Italian, Dutch, Swedish and Finnish to name a few. Unfortunately players from the following countries are not able to sign up at Mansion Casino : United States of America, France, Spain, Israel, Portugal, Turkey, Belgium, Singapore, Estonia, Cyprus, Macau, Bulgaria, Philippines ,Hong Kong, and Slovenia. Mansion Casino is a well established online casino that caters for players of all levels. 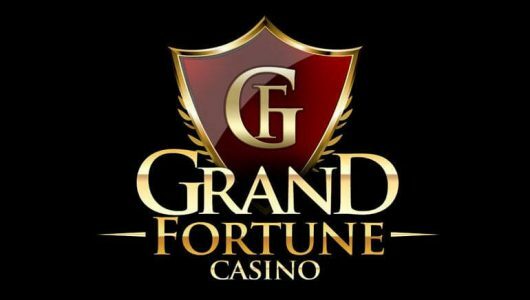 They offer a good sign up bonus, despite the lack of free spins or no deposit bonus, and regular reload bonuses. Their VIP program and loyalty points scheme can be very beneficial and just one of the ways you can earn a little bit extra back.